Provided are contact details for Scarborough Driving Test Centre, test route tips, test booking information and help passing the driving test in North Yorkshire. 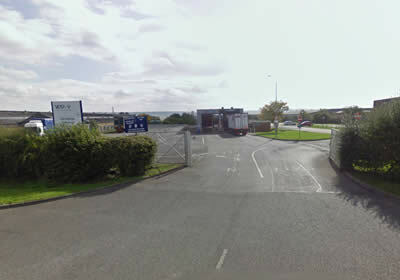 Test Centre Details: Ramp access to Scarborough Driving Test Centre for wheelchair users. Male, female and disabled toilets available. No test candidate car parking facilities available. Located just outside of Scarborough in Eastfield, the driving test from Scarborough Driving Test Centre will feature various road types. Expected on the driving test will be rural country roads (see the country road driving tutorial for advice on these road types), high speed ‘A’ roads such as the A64, village and town driving. A good skill level and understanding of safety is essential for all road types. The driving test from Scarborough Driving Test Centre will take around 30 – 40 minutes, will feature one of the possible four test manoeuvres (the choice is for the examiner to decide) and a 1-in-3 chance of the emergency stop procedure. The test will last for 30 to 40 minutes and will include approximately 10 minutes of independent driving. The routes are designed in such a way so to involve as many diverse roads and traffic systems as possible, often including very challenging parts. Gaining knowledge of the test routes provides valuable insight into the type of roads that will be taken during your test. Driving test routes may be available to view or a downloadable app for your mobile device in your area, including Scarborough Driving Test Centre. Driving test results vary depending on the location of the test centre. In busy areas, test candidates often fair better when their test is conducted during the quieter periods of the day, avoiding peak time rush hour traffic. Practical driving tests can be booked over the telephone via an automated service. To book a test at Scarborough Driving Test Centre, see the book a driving test section for booking contact telephone numbers. Although this is an automated service, a Driver and Vehicle Standards Agency (DVSA) assistant can be reached by following the prompts. The majority of test candidates book their driving test over the internet as the available free test slots are made visible to be taken. To make a test booking at Scarborough Driving Test Centre, see the book a driving test section. Please note that direct contact with driving test centres cannot be made for test booking, cancelling or rescheduling. this can only be made directly with the DVSA (see above). Practical test centres can be contacted directly (including Scarborough Driving Test Centre) for reasons such as to inform the test centre manager you may be slightly late, or any issues you have with the test such as if it is still to proceed due to bad weather (see driving tests in bad weather for further information). See the driving test centre contact numbers section for further information. Tell others about your experience at Scarborough Driving Test Centre and let us know how your test went, did you pass or fail, how was the test centre, were there toilets or parking facilities? Were the test routes difficult? How were the test examiners? It’s quick and simple – no signup necessary and only your nickname will be displayed. To ensure your review meets our guidelines, please read our Terms and Conditions prior to submission.